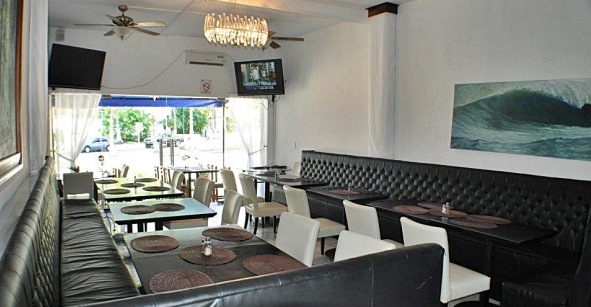 A special Mexican-Mediterranean style restaurant also featuring Lebanese food. 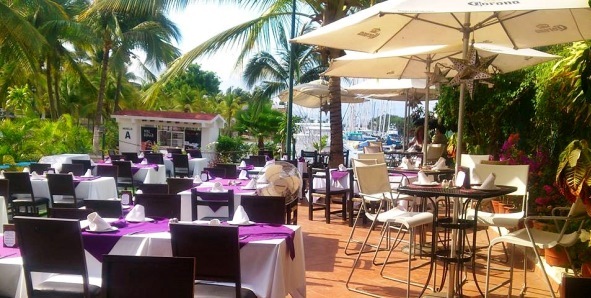 Eddie&apos;s Place Nopal Beach philosophy of Great Food at a fair price is evident when you see the excellent value and huge menu. 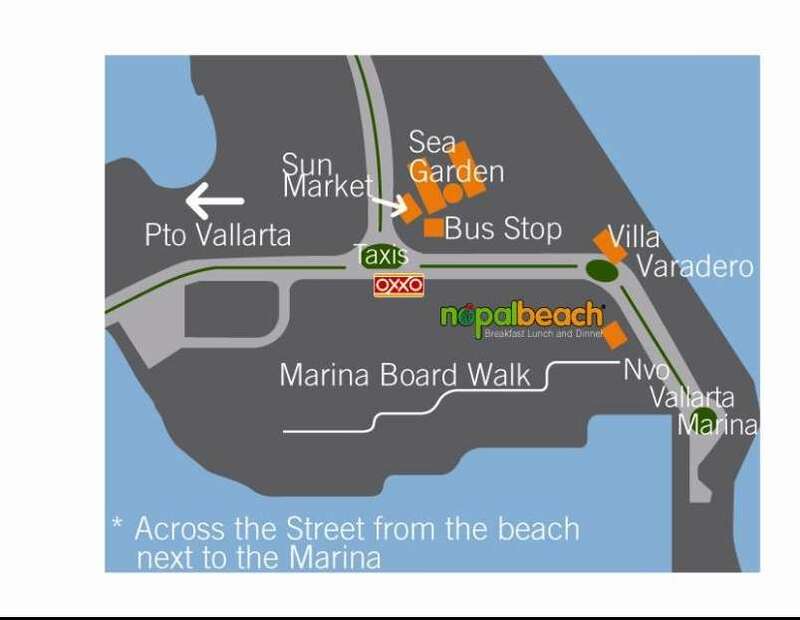 This casual friendly atmosphere provides the option to eat outside overlooking some of the Marina or inside the dining room with airconditioning. Entertainment nightly. The family legacy has passed on! Eddie&apos;s sons have continued what Eddie had started, offering traditional dishes with a lebanese flair. 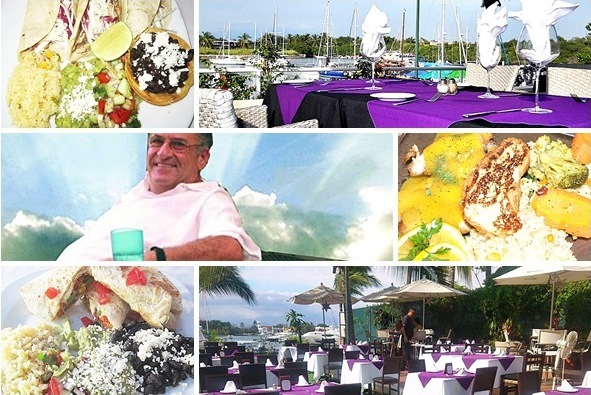 Eddie had come to Nuevo Vallarta in 2007 on an invite from a cousin and after falling in love with the area he decided to open this small restaurant and has gradually expanded his small beginings into one of the most popular in the area for locals and tourists! "Everything people said is true: the food at Eddie&apos;s was amazing"
"We ate at many other restaurants that were more expensive than Eddie&apos;s, and each time my thought was,"it was better at Eddie&apos;s."
"He has the best food in Nuevo Vallarta and is very proud of this too"
Eddie remembered when it all started, he had a cooler filled with drinks, people were on the honor system - Eddie made friends! LEBANESE KABOBS - grilled to perfection - served with rice, using extra virgin olive oil or butter (do not use lard) complimented with mint, grilled tomatoes, bell peppers and onions marinated in our own special Labanese sauce/spices. Meal served with garlic toasted pita bread & cucumber yogurt salad. Eddie&apos;s Fajitas - choice of steak, chicken, shrimp or Mahi Mahi fish with melted cheese on fresh flour tortilllas. Mexican Plate - combination o chicken enchilada, cheese quesadillas, stuffed cheese chile rellenos. IN THE MOOD FOR A SMOOTHIE? - Satalite TV (US / Canadian channels to watch Hockey, Basketball, Football, Soccer, etc). - Great variety of drinks - generous portions (fair pour)! Try out the smoothy and add your favorite alcohol mix. I look forward to our dinner! It won't be published on the website. The fields mark with (*) are	required!